I have always been the baker in our house. 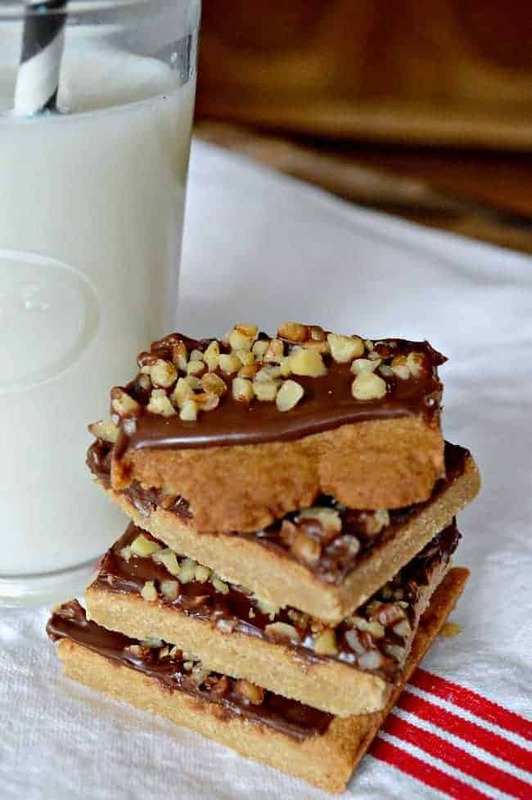 There is one exception during the holidays though when the hubs steps in to make his mother’s Toffee Bars. 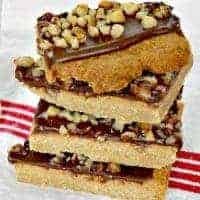 Now, you know they are super easy if he’s putting his baking apron on, so if you need a quick, easy and yummy treat, these are it. Do you have any long-standing family cookie recipes that you make every year? I’ll be back on Friday to share an little ornament project that I just finished (it may be a project fail). Thanks so much for stopping by! A rich and chocolatey treat with a nice nutty crunch. Cream butter, sugar, egg yolk and vanilla. Stir in flour and salt until blended with a big giant metal fork. 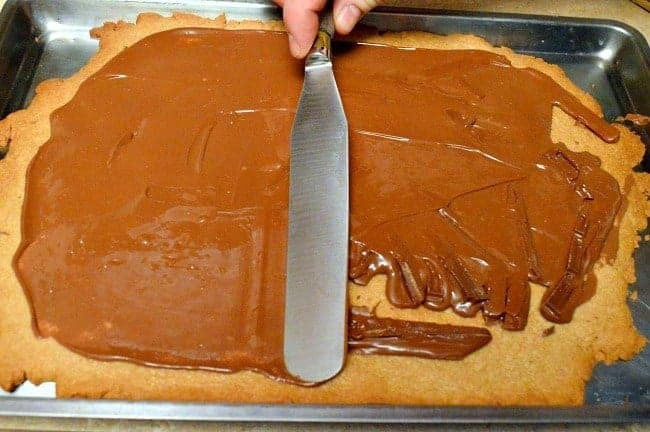 Pat into 13X10 GREASED baking sheet. Put chocolate bars on, let melt for about 2 minutes. Spread chocolate evenly, sprinkle with chopped walnuts. 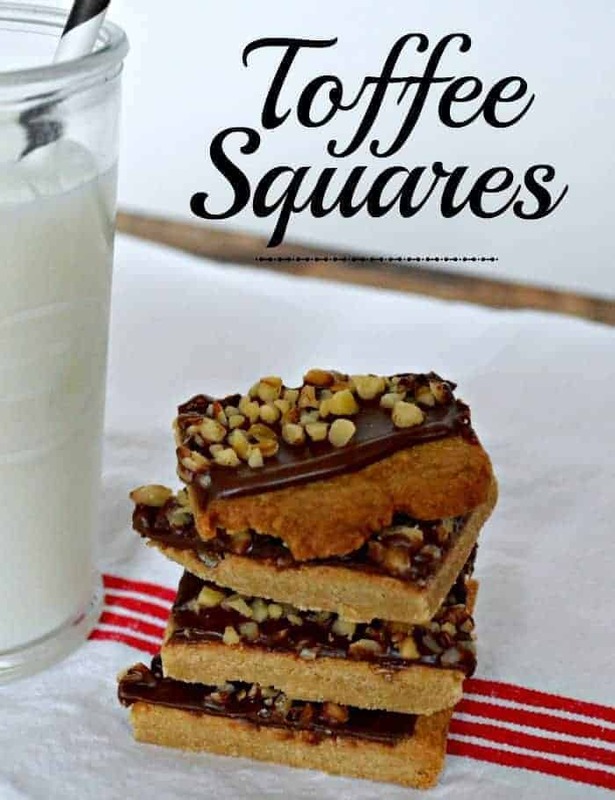 Cut into squares while still warm and soft. 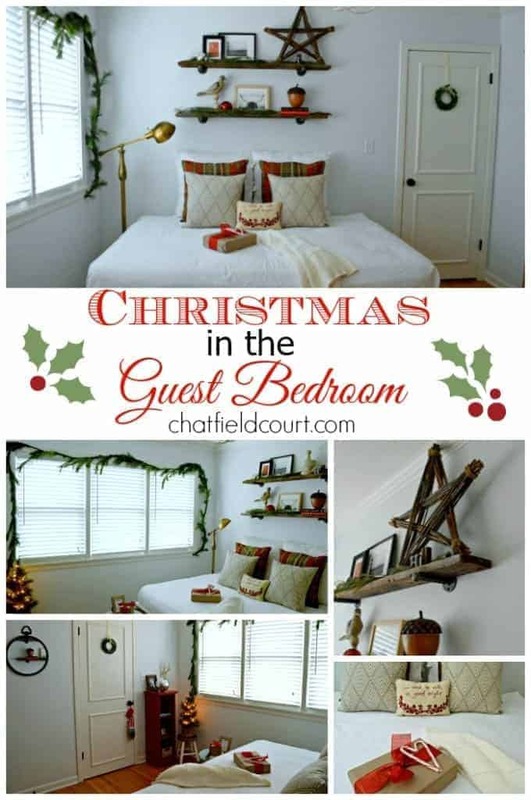 If you missed it, make sure you check out my Christmas guest bedroom.